but always went and fetched them. Michael Turnbull has been helping people learn golf since 1977--he employed traditional golf instruction methods until 1999, when he learned about the Inner Game from best-selling author, Timothy Gallwey. 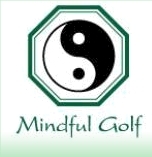 Michael's philosophy for Mindful Golf is based on his own experience in employing the exercises and precepts of Mindful Golf, in addition to the insights he has gained from his study of Eastern philosophy. Rather than teach his students to focus on the "right" way, Michael guides his students to learn golf naturally, "from the inside out", to become more creative and confident learners and performers. Michael is one of the few golf instructors to strictly teach the Ernest Jones method of swinging. This method's biggest advantage over anything else is that it treats the golf swing as one whole motion, not a series of discrete movements that the student is required to assemble in order, and oh, by the way, don't think about it when you're swinging. Michael was the PGA Head Professional at Balboa Park GC in San Diego, CA and from 1988-1999, he was the PGA Head Professional and Golf Course Manager at Baker National Golf Course in Medina, MN. Michael has served as a teaching professional at Rolling Green CC in Hamel, MN, SeaCliff CC in Huntington Beach, CA, and since 2005 at Brookview GC in Golden Valley, MN. He has also served on the Board of Directors of the Minnesota PGA and is a past president of the Midwest Golf Course Managers Association. A three-time winner of the Minnesota PGA Junior Golf Leader award, Michael also assisted the Minnesota State High School League as a Rules Official for 14 years. He co-hosted The TeeMaster Golf Show on 1500ESPN radio and appeared regularly on GOLF BOUND on KARE11 TV.